A trial is scheduled to begin in Fairfax County Circuit Court today to determine which properties belong to a group of congregations whose members voted to leave the Episcopal Church. The dispute was precipitated by the consecration of an openly gay bishop in 2003 and what the congregations see as a rejection of the authority of Scripture. The congregations filed petitions in court reporting their votes to leave the denomination and affiliate with the Church of Nigeria through the Convocation of Anglicans in North America. They also sought to hold onto the properties that have been the congregations’ homes. The petitions were filed under a Virginia law that lets a state court determine whether a division exists within a denomination and gives a congregation the right to disaffiliate itself and retain its property. The 1867 law was intended to enable congregations after the Civil War become independent from parent denominations in the North, said William Hurd, a lawyer for the Episcopal Diocese of Virginia. Fairfax Circuit Judge Randy I. Bellows ruled previously that the congregations properly invoked the statute, and he has ruled that the statute is constitutional. Eleven congregations had been part of the case, but two reached a settlement last month with the Diocese of Virginia and the Episcopal Church. Those congregations, Potomac Falls Church in Sterling and Christ the Redeemer Church in Centreville, meet in elementary schools and do not have property. The Anglican District of Virginia is affiliated with the Convocation of Anglicans in North America, a missionary branch of the Church of Nigeria, and other Anglican archbishops. Four properties are at issue in the trial starting this week; the diocese is not contesting that the others are covered by the congregations’ petitions. But whatever Bellows decides likely won’t end the dispute. Officials with the Diocese of Virginia have said that once the judge enters his final order, they plan to appeal the case on all available grounds. Diocese leaders have argued that the congregations hold the properties in trust and they belong to the greater denomination. In four of the nine congregations that voted to leave, some of the members have continued meeting elsewhere as Episcopal congregations. Those are St. Margaret’s Church in Woodbridge, the Falls Church, St. Stephen’s Church in Heathsville and Church of the Epiphany in Oak Hill. The Virginia lawsuit has been closely watched because two of Virginia’s oldest and wealthiest Episcopal churches are among those leaving: Truro Church in Fairfax and The Falls Church in Falls Church trace their history to Colonial times. The 2.2 million-member Episcopal Church is the U.S. branch of the worldwide Anglican Communion, a 77 million-member fellowship of churches that trace their roots to the Church of England. Read it all here. The four particular pieces of property belong to The Falls Church, Falls Church; St. Stephen’s Heathesville; Truro (property formerly bought by Christ the Redeemer mission), Fairfax; and Church of the Word (Gainesville). 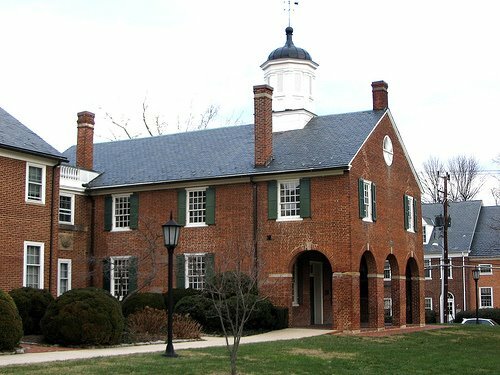 The bulk of the drastically shortened trial is expected to focus on the historic property held in trust by The Falls Church (though with a rather innovative challenge this past week that Christ Church Alexandria has actually owned it all along – Pohick Church in Lorton is watching that one very carefully and perhaps Christ Church should think long and hard about what TEC is dragging them into). Stay tuned. This entry was posted in ADV, Anglican News, CANA, Diocese of Virginia, Episcopal News, http://schemas.google.com/blogger/2008/kind#post. Bookmark the permalink. <>Pohick Church in Lorton is watching that one very carefully <>Care to elaborate? Of course, this does raise the question of the Glebe act of 1802. After all Fairfax was established by then and it would surprise me if taxes were collected for another jurisdiction.Claiming Christ Church is owner is a bit odd, since from 1790-1846 Alexandria, along with what is now Arlington, was a part of the District of Columbia. Thus Falls Church would be under the Glebe Act where Christ Church would not.The NY lawyers should have done a little better research into history, for a 56 year period and some important ones, Christ Church was outside the commonwealth of Virginia. The continuity they are trying to establish to English rule grows more complicated.If the judge needs, the survey stones a mile from TFC and the one at Jones Point still exist if there should be a question if Christ Church was in DC. Just in case … you may desire to grab folks by the hand < HREF="http://en.wikipedia.org/wiki/Boundary_Stones_(District_of_Columbia)" REL="nofollow">and show them these<>.